Mix it all together in a 2 litre soda bottle. Put it in the fridge for 12-24 hours. Sieve it to remove the grated ginger and lemon bits. Many recipes online tells you to leave it in the bottle while fermenting. But that is no pleasure to drink. And if you sieve it after fermentation it goes flat. Put it all back in the bottle and leave it in a warm dark (as long as there is no sunlight it is ok) place to ferment for 1-2 days. When the bottle is so hard that you don't make dents in it when you squeeze it, it is fine. Put it in the fridge and drink it inside a month. The base mixture should be the about same in all recipes. The flavours you can change like you feel like. 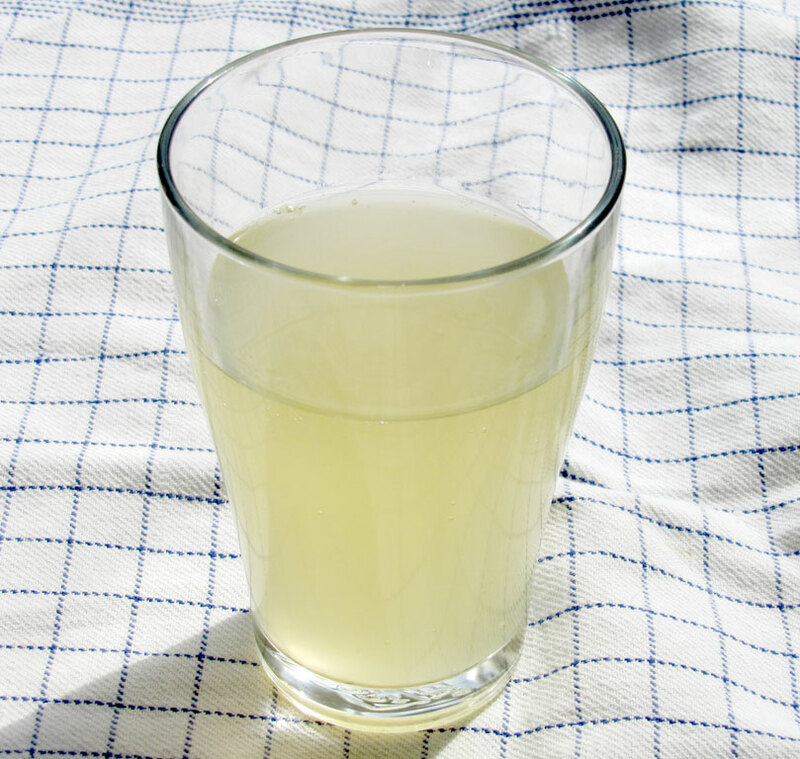 The idea is to have a lemonade that is suitable sour and sweet that you can drink it before it ferments. You could boil some berries and mix it with the base mixture and then add lemon juice to taste. You then add a tiny amount of yeast so that it develops carbon dioxide. Which is what makes the bubbles. You can also use store bought soda extract. If it has sugar. Because of the yeast it develops a tiny amount of alcohol. But not enough to make you drunk. An entire 2 litre bottle has less alcohol than a beer. use plastic bottles and not glass. Don't leave them out to ferment for too long. The longer it ferments, the more fizzle you get, but it also increases the risk of fatal plastic bottle error. Ie explosion. If you want more alcohol in your drink you should not put on the cap. 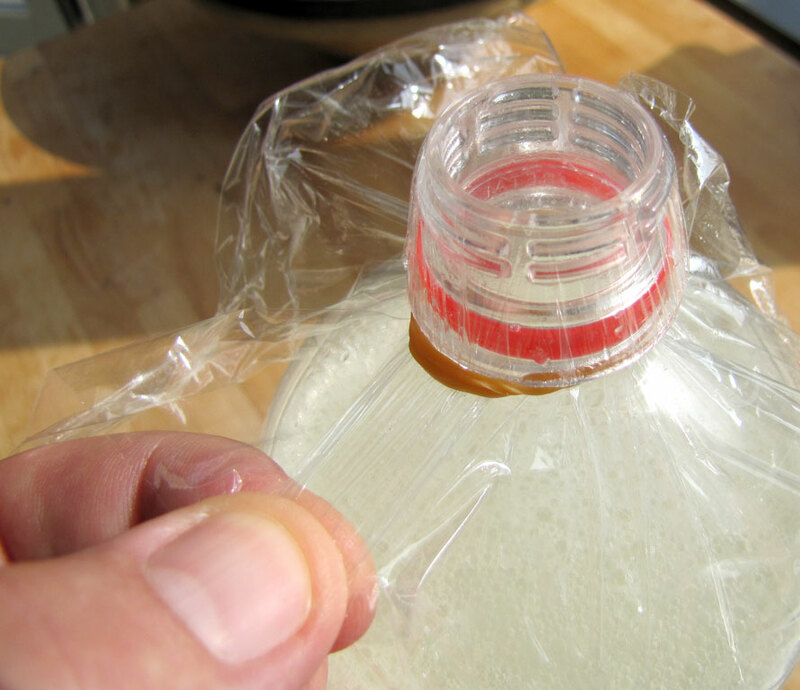 Just cover the opening with cellophane that you wrap to the bottle with an elastic. A simple but effective airlock. The yeast eats the sugar to make the alcohol. So the more alcohol there is, the less sweet it is. You can also use brewers yeast. It tastes less of yeast. When you are satisfied with it you put on the lid, and leave it to ferment like the non alcoholic version. That way you get bubbles in it. And then put it in the fridge. Remember that it is alive. So if it goes flat, you can just leave it out at room temperature for 12 hours or so, with the lid on, until it is carbonated again. That is a trick that does not work on regular soda! It is your own choice if you also add ginger to these simple recipes. I usually do. It is such an easy recpie to experiment with. A 2 litre bottle does not take up much room in the kitchen. All recipes can have sugar and lemon juice added to taste before fermenting. Add 2-3 tbsp of dried tea to the mixture. No need to boil it. It is actually better without. Less bitter. Add 2-3 oranges or 3-4 dl of orangejuice. Add the juice of 1-2 grapefruits. Boil 300 grams (10 oz) of raspberry with a little water, for abut 20 minutes. Add the juice from that to the mixture.